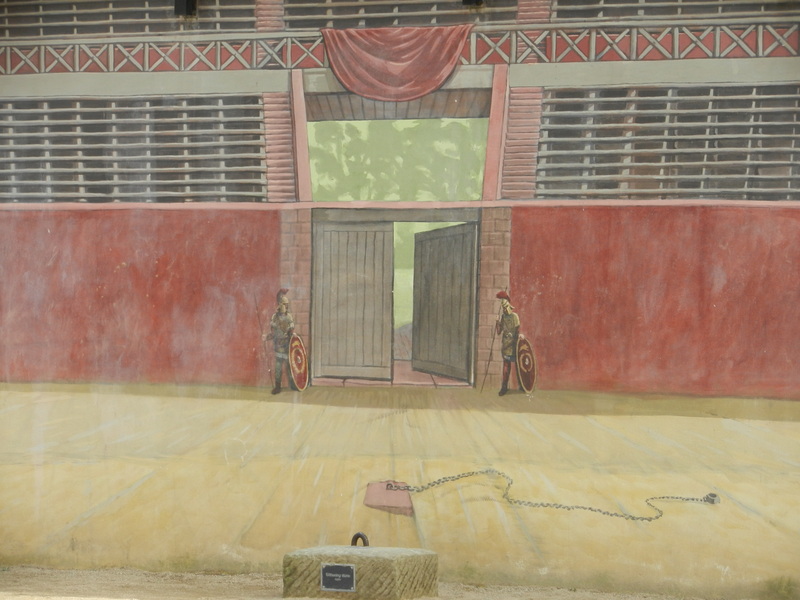 One of the reasons that tourists come to Chester, in the summer and at other times, is to see the many traces of ancient times here, both the actual remnants such as what’s left of the Roman amphitheatre, and replicas of artefacts which have been found here. 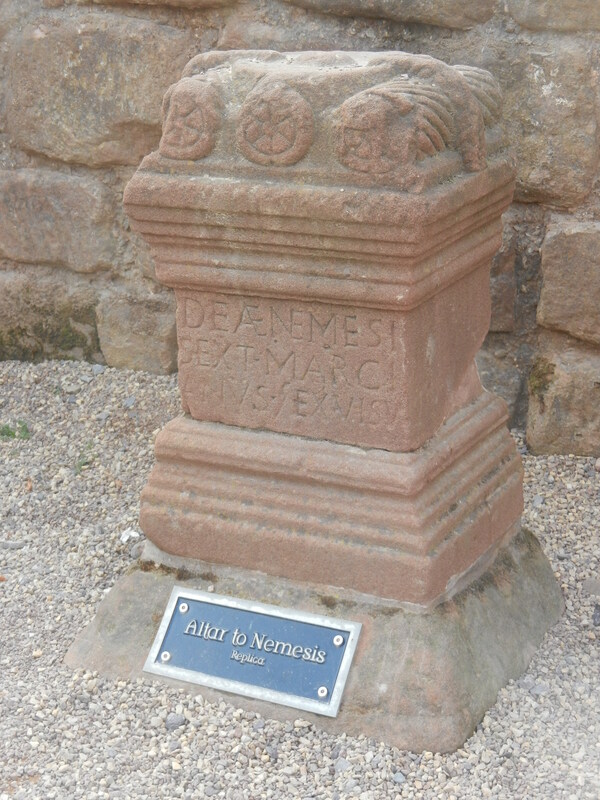 This replica of an altar to Nemesis is set up amid the amphitheatre ruins. The monumental architecture and traces of history have been promoted as the frame through which people are to see the city; the lines to the past shape the mental geography of the place in ways that I am still pondering. So many little fragments, barely understood, flash by in one’s peripheral vision, mixed not only with reproductions of the past as viewed by people who have thirsted for it but also with various other present-day additions, that it is hard to separate layers of time in what one sees. The right word for the mix of history and its reproduction that is Chester is probably ‘antiquarian’, with all the ambivalent connotations which that brings. 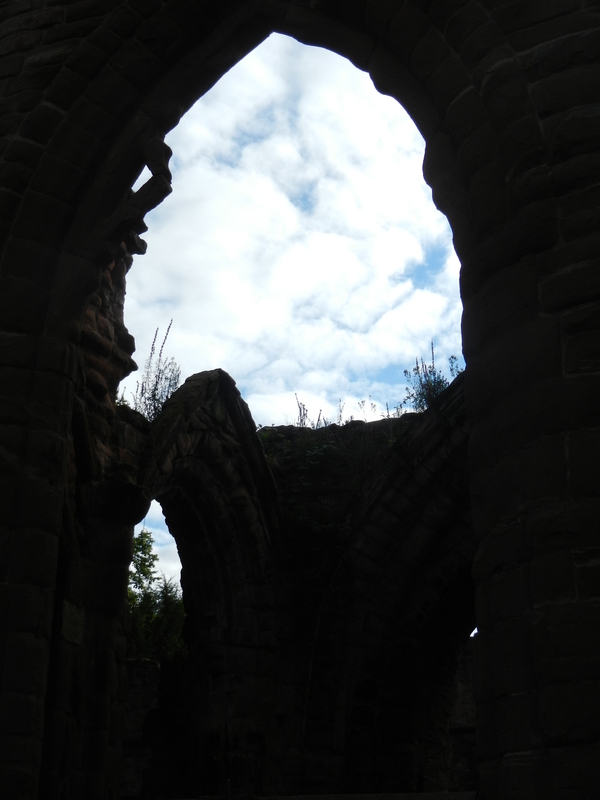 Looking at the sky through a ruined arch of the Church of St John the Baptist.